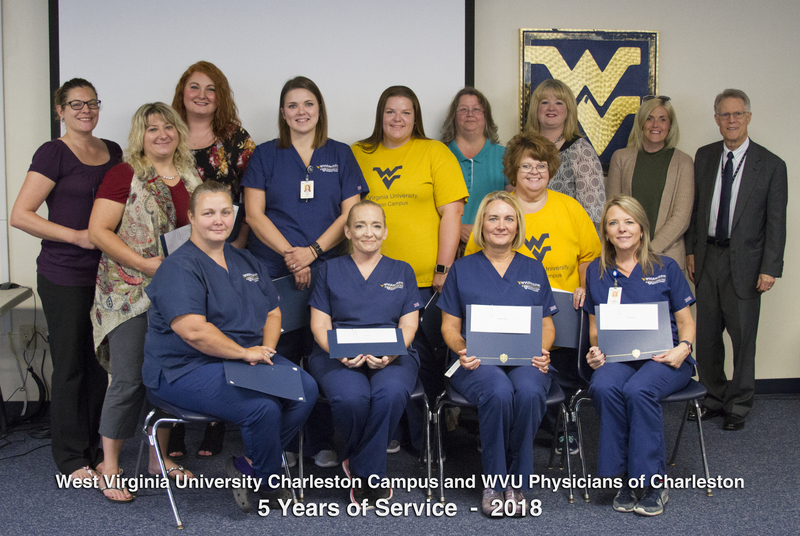 West Virginia University Health Sciences Charleston Campus and the WVU Physicians of Charleston hosted a luncheon recognizing the milestone years of service by employees of the academic, clinical and affiliated organizations on campus. 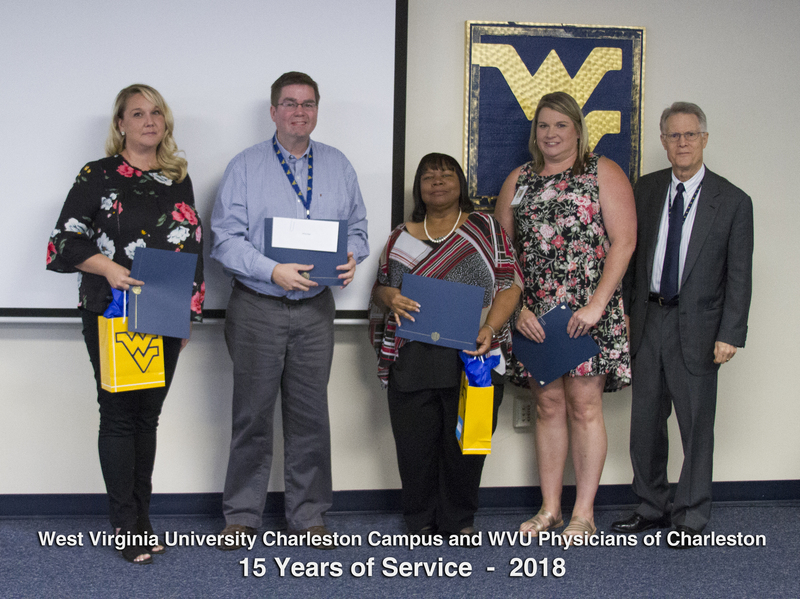 Hosted by the WVU human resources office, the luncheon included recognition of those with 5, 10, 15, 20 and 25 years of service. “It is a testament to the leadership of the campus that there are so many with impressive milestones of service,” said human resources director Rena Cosby. “Employees thrive in a workplace where they enjoy the work they do and the people they work with. 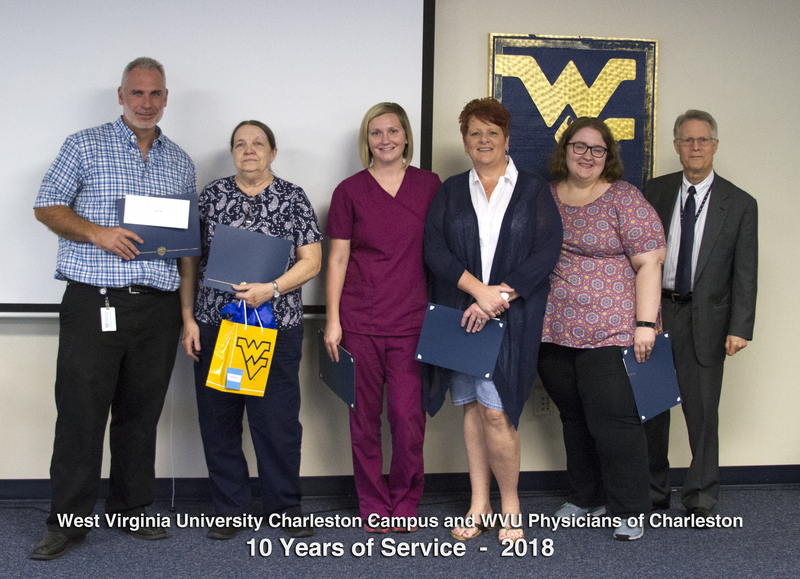 John C. Linton, PhD, ABPP, associate vice president for health sciences and dean of the school of medicine at West Virginia University’s Health Sciences Charleston Campus welcomed attendees and saluted the group’s team work and service to the campus. “I want to thank each of you for the dedication, hard work and professionalism you bring to every group that is represented here today,” Dr. Linton said. The luncheon included administrators, chairs and department heads who were on hand to support their team members and join in the celebration of their service. WVU Charleston campus vice president for finance and administration David Perry closed the event with more thanks to those in attendance, and reiterated the impact that our employees play in our day to day operations and in the success of our mission. “Each and every one of you plays an important role in the four pillars of our campus: academic, clinical, research and service to the State of West Virginia,” Perry said. Perry pointed out the varied organizations represented in the gathering and thanked them all for the role they play in the ongoing work of the Charleston campus.